CHVRCHES just released the music video for “Graffiti,” the first song off their most recent Glassnote Records-released album Love Is Dead. The video puts an illustration to the song that explores the fantasy of growing older with your childhood love. The synth-pop band’s film begins with an old tube-TV shattering to reveal the young couple in question. 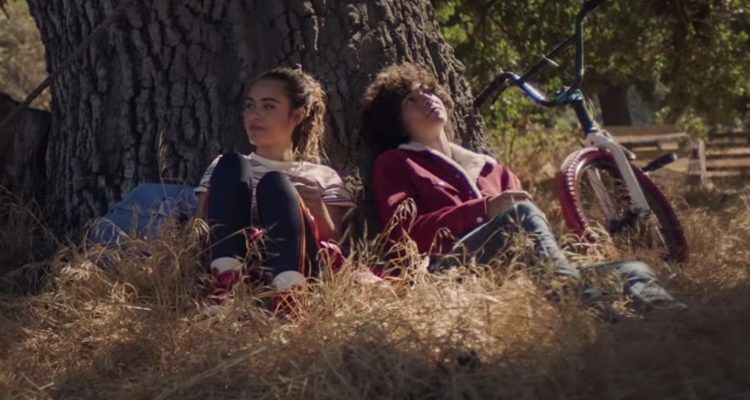 Throughout the clip, the pair stands on a tire swing, relaxing under a tree and playing in the leaves in slow motion, and maximizing their time in a classically “American” way. The final scene shows the two slowly rising into the air in a rundown barn as if they were in a dream. The lead member Lauren Mayberry sings, “I’ve been waiting for my whole life to grow old/And now we never will, never will,” cementing the idea that their time spent together will last forever in their hearts. Watch the video below.